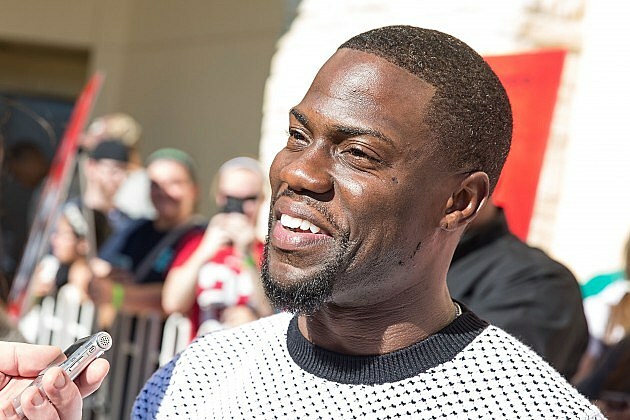 Entertainer, actor and comedian Kevin Hart is headed out on a North American arena tour hitting 45 cities in the U.S. and Canada, including Grand Rapids’ Van Andel Arena on May 17. The Grand Rapids concert was just announced today by LiveNation, with tickets going on sale at 10 a.m. EDT Friday at Ticketmaster outlets, including select D&W, Family Fare and Walmart locations; Ticketmaster online; and the box offices for Van Andel Arena, 130 Fulton Street West, and DeVos Place convention center, 303 Monroe Avenue NW, in Grand Rapids. Hart also hits The Palace of Auburn Hills in Auburn Hills on May 16 and Chicago’s United Center July 30 for the tour, for which tickets are already on sale. The What Now? Tour kicks off Thursday in San Antonio at AT&T Center and includes dates at New York’s Madison Square Garden and an NFL a stadium date in Philadelphia at Lincoln Financial Field. The What Now? Tour has already sold out several shows, with second shows added for a few dates, according to LiveNation officials. As an actor, Hart can currently be seen opposite Will Ferrell in the Warner Bros. film Get Hard; and in the Screen Gems movie The Wedding Ringer, co-starring with Josh Gad and Kaley Cuoco-Sweeting and being released for home viewing April 14. He also stars and is executive producer for the BET show Real Husbands of Hollywood.